People lined up in Palo Alto Saturday morning ahead of the much anticipated opening of the Bay Area's first Shake Shack location. PALO ALTO, Calif. (KGO) -- People lined up in Palo Alto Saturday morning ahead of the much anticipated opening of the Bay Area's first Shake Shack location. Twitter user You You Xue shared pictures and video of the long line outside the location. Shake Shack has plans for expanding its Bay Area presence with restaurants in Larkspur and San Francisco. The popular East Coast burger chain has more than 200 locations around the world and throngs of die-hard fans, including former First Lady Michelle Obama. 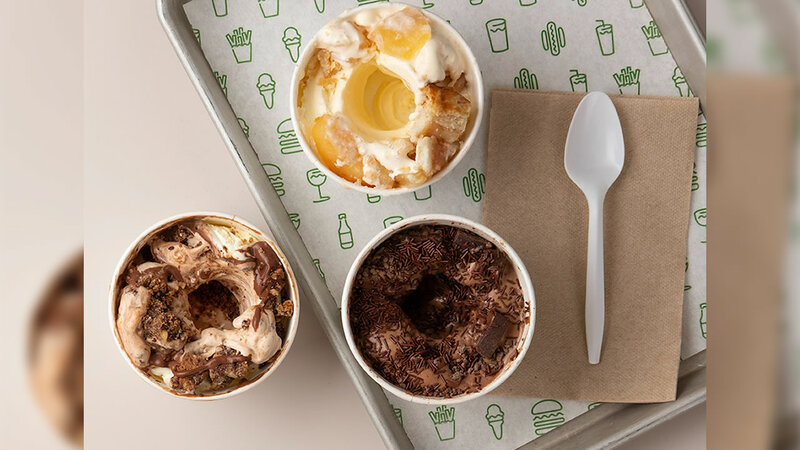 This undated image shows custards from Shake Shack.